There are a few different types of credits that many parents qualify for that are important any Orlando child support attorney to understand and include in your child support calculations. These often go unnoticed causing child support orders to be entered that are too high or too low depending on who they favor. It is important to note that this is a basic overview of child support credits and should not be used as a substitute for seeking the advice of an experienced child support attorney. Child tax credits at the end of the year affect child support outcomes. One of the factors for calculating child support is by using the incomes of the parents. For this reason any increase or decrease in the income of either parent can have a substantial impact on child support amounts. A parent can ask the court to order that the parents alternate the ability to claim the child for tax purposes. It is very important for child support lawyers to remember to include this into their support calculations because the funds that parents get from the child tax credit needs to be added to that parent’s income which affects the ultimate child support amount. Another area related to tax withholdings that can affect child support abrogation a is where a parent is self employed. This is because self employment taxes can be greater than regular income taxes. This is why it is important to know how to include this information into the child support guidelines .  Most third party child support calculating software has a checkbox to easily assign the tax credit income to the appropriate parent’s income for accurate calculations. However, more basic child support calculators such as the free ones available online make it more difficult to add these amounts. In addition to the tax credit the Florida child support guidelines also provide credit to the parents for the amounts that they pay for their personal health insurance. Under the Florida guidelines the amount that a parent pays for their own health insurance policy is an acceptable deduction from their income. This means that their income can be reduced somewhat for calculation purposes and the child support payment amount will be affected. Another area where child support attorney Sean Smallwood notices credits for child support is health insurance payments can add a credit is where a parent is paying for health insurance for the child which is added as a credit. While these health insurance credits are not going to be a dollar for dollar credit, they do make enough of a difference to justify having a child support attorney paying attention to detail. Amounts paid for older children’s court ordered child support offer a substantial credit. 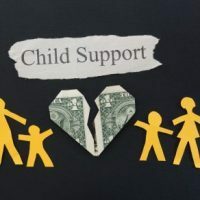 Other child support payments for other children can make a substantial difference in the end result especially when coupled with the other credits in this article. The way it works is where a parent is making court ordered child support payments for an older child and these payments are on time and not delinquent will earn that parent a substantial credit for child support.